Are you just starting out with Dovico hosted services? 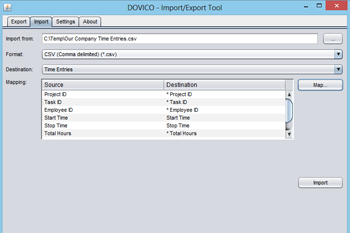 Do you need to import some of your previous data to get started quickly? 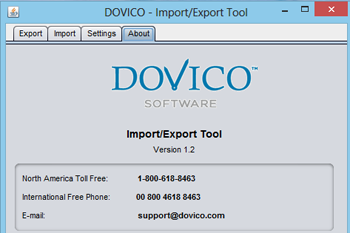 Or have you been using the Dovico hosted services for a while and now want to export some data? 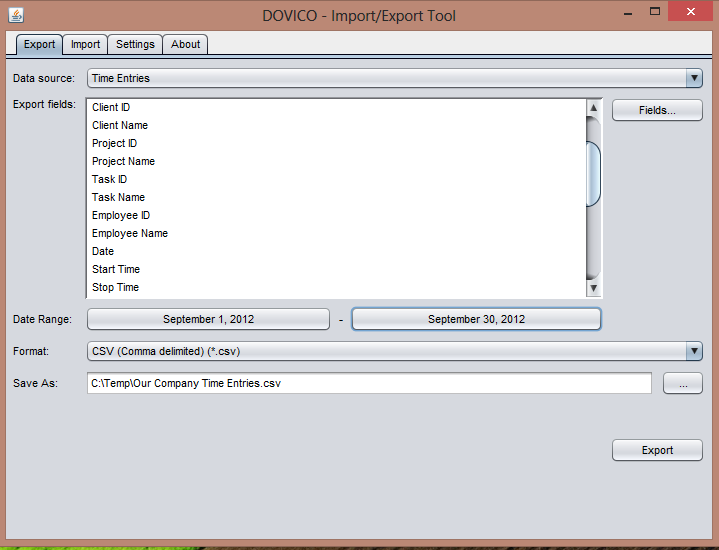 This Import/Export App (written in Java) allows an administrator to import their companies clients, projects, tasks etc. 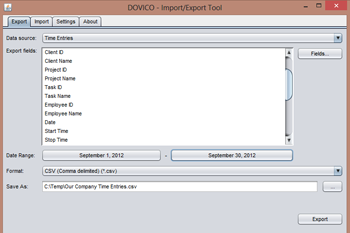 or use this App to export data directly from your database into a Microsoft Excel friendly CSV format. 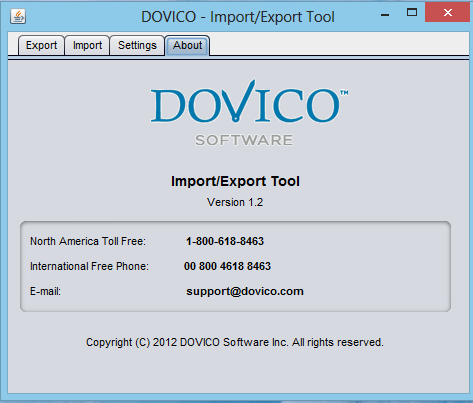 Please note: This App will adhere to the limited access security that has been setup in Dovico Services for the user. Therefore if the user does not have administrative privileges then not all information will be available for Import or Export. 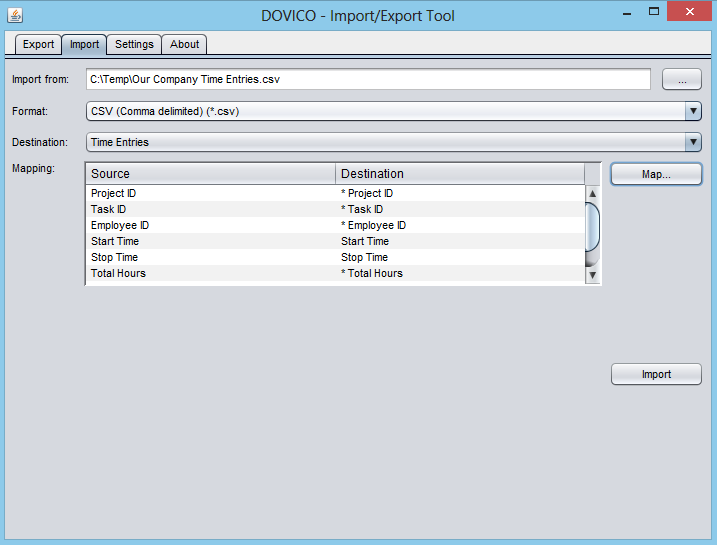 04/07/2014 - (v2.0) Added ability to Import/Export Teams. Also added an Import Validation Report.